Drug and alcohol testing is perhaps one of the most controversial issues within the employment sphere. Is it legal? Can you refuse a test? Often, employees aren’t given an opportunity to ask these questions, due to the nature of random testing, and do not refuse the test out of fear of appearing “suspicious”. 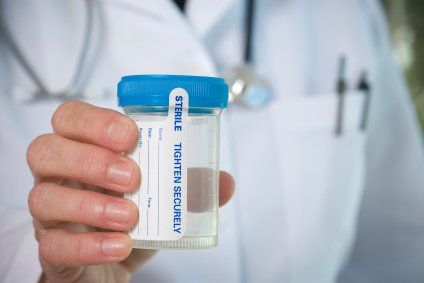 An employer cannot require that you participate in a drug/alcohol test. It is assumed that there is no requirement for testing, and, should an issue with a policy in this regard proceed to court, the onus is on the employer to prove that the testing was a bona-fide occupational requirement, pursuant to the case of British Columbia (Public Services Employee Relations Commission) v. B.C.G.E.U.,  3 S.C.R. 3, 176 D.L.R. (4th) 1. Just because an individual is an employee in capacity does not eliminate their right to personal privacy, a principle supported in the case of Monarch Fine Foods Co. v. Milk & Bread Drivers, Dairy Employees, Caterers & Allied Employees Local 647 1978 CarswellOnt 931, 20 L.A.C. (2d) 419. In the case of Communications, Energy and Paperworkers Union of Canada, Local 30 v. Irving Pulp & Paper Ltd., 2013 SCC 34 (S.C.C), employees were subjected to random breathalyser testing, with a positive result leading to disciplinary action, up to and including termination. The Union challenged this policy and the arbitrator agreed, finding the testing an intrusion into personal privacy, which without reasonable cause (i.e slurred speech, smell of alcohol on the breath) was not proportionate to any benefit to the company or its employees. The standard for requesting testing has been raised even higher in cases such as C.H. Heist Ltd v. E.C.W.U., Local 828 (1991), 20 L.A.C. (4th) 112 (Ont. Arb. Bd. ), in which it was found that an express or implied term in the collective agreement was required in order for the testing to be sanctioned. In the case of Halifax (Regional Municipality) v. CUPE, Local 108 2013 CarswellNS 376, two employees were questioned as to whether or not they had been smoking marijuana while working after their supervisor allegedly smelled the drug on them. An hour later, the employees were asked to submit to a drug test. One of the employees refused, citing that his recreational use of the drug would “tamper” the sample. The other employee refused, asserting that his personal life was none of the employer’s business. The employer chose to send him to an addictions worker, who required further information on the employer’s allegations of drug usage. The employer could not provide further details, given the employee’s refusal, and chose to terminate him. At arbitration, the employee was reinstated as the evidence that testing was necessary and sanctioned was insufficient. Typically, employment contracts or collective agreements which mandate drug testing, random or regular, are unenforceable. If you are concerned as to whether or not an employee can be submitted to testing, or whether or not termination is appropriate for a positive result, it is best to contact an Employment Lawyer in order to ensure that you do not make a decision which reflects poorly on your organization. Contact Monkhouse Law today to discuss your options. If you have been pressured into taking a drug/alcohol test or told that you were obligated to take a drug/alcohol test only to be terminated based on the result, you may have a legal remedy available to you. Contact Monkhouse Law today to see how an Employment Lawyer can assist you with reinstatement or appropriate compensation in lieu of reinstatement.